‘Chucks for Chancho’ is for my son. His favorite pair of shoes were black and white Converse. He wore them every single day doing everything a small child does in a good pair of shoes. In the end they were dirty, scuffed, worn down, and full of stories. I started to wear my pair of black and white classic converse in his honor. It is well-known the nickname for Converse shoes is “Chucks”. My son’s nickname was given to him early in my pregnancy by my sisters, “Chancho”. 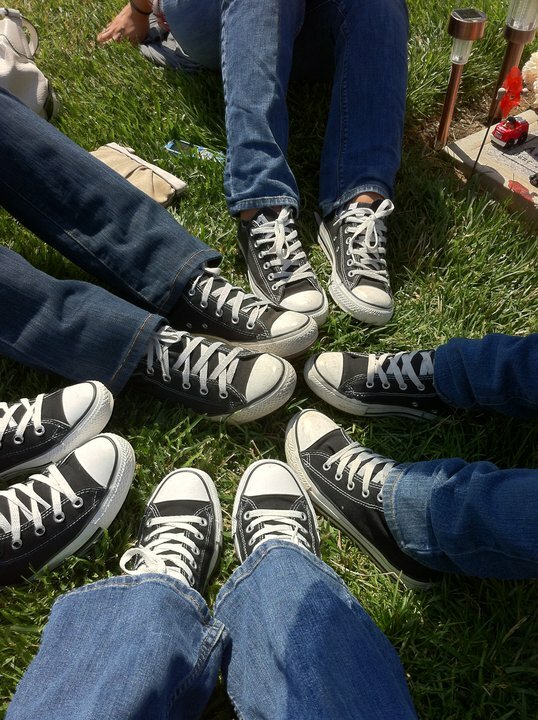 For what would have been his 4th birthday earlier this year (2011), I wore my ‘chucks’ along with some family. To my surprise when I arrived at work the following day, my dear friends and co-workers showed their support by also wearing a variety of converse shoes. I am blessed to be surrounded with unconditional love and support that help me get past the lows. What a lovely tribute and photo! My heart goes out to you.What a beautiful way to celebrate your son. of these magnificent informative site. make such a fantastic informative web site.